Theater and performance are not just personal interests of Anthony Massa—they also are calls to action. He co-founded and directed the first ever Theater Club at Macaulay Honors College. One of Anthony’s performance pieces, which he directed in collaboration with the Performing and Creative Arts Department and the Psychology Department at the College of Staten Island (CSI) had a focus on the lives of a people with autism. It was a central part of his honors project: exploring whether an arts-based intervention can reduce the stigma many with autism experience in their lives. 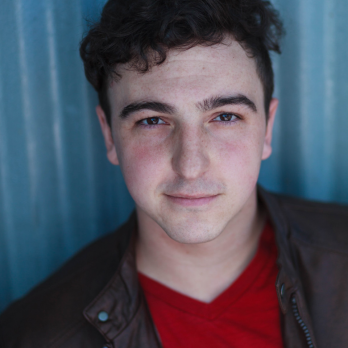 Anthony’s interests are reflected in his double major in Drama and Psychology. He has 12 years acting experience performing on the stage, including five off-Broadway acting credits. The St. Peters High School graduate also had several internships, including one with the New York International Fringe Festival where he helped manage box offices for multiple NYC theater venues and organized and managed all volunteer scheduling duties and assigning tasks. Still, he made time for various college activities, including the Macaulay Scholars Council and the CUNY Service Corps, among many others. Anthony grew up on Staten Island and both parents’ families are from Italy. His mother is a speech therapist and his father is an administrator with the Lexington School for the Deaf in Queens. The Eagle Scout says he hopes to get a certificate in American Sign Language. After graduation, Anthony will be attending the Disney College Program and will be working in Walt Disney World from September to January 2018. Once completes this program, he intends to go to graduate school and begin a career in the theater management field.